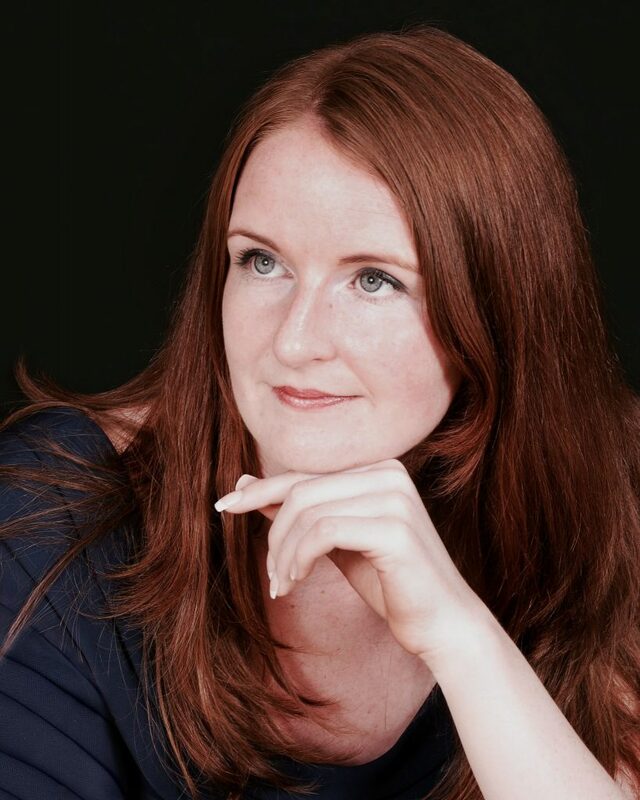 Aisling Kenny, from Galway, is a soloist and ensemble singer specialising in early music and art song. She performs regularly at home in Ireland and has sung in the UK, France, Germany, Italy, Switzerland and the USA. Aisling studied music at Maynooth University, and vocal performance at the Schola Cantorum Basiliensis, Basel, with Evelyn Tubb. She has participated in masterclasses with Paul Farrington, Margreet Honig, Emma Kirkby, Christine Schäfer, and Andreas Scholl. Aisling sings regularly as a soloist in oratorio: recent performances include Handel Messiah, Hasse Miserere, Bach Actus Tragicus, St Matthew Passion and Mass in B minor. An active recitalist of Lieder and lute song (with Ziv Braha), she has presented recitals in Basel, Oxford and all over Ireland. Aisling has performed as a soloist in several festivals including the Galway Early Music Festival and Kilkenny Arts Festival. An experienced ensemble singer, Aisling joined Chamber Choir Ireland as regular member in 2018. She is a member of Resurgam, directed by Mark Duley, since 2008 and has sung with Ensemble Marsyas, Crux Vocal Ensemble, Sestina, Atalante, and The Cardinall’s Musick. Aisling regularly gives public singing workshops and is vocal coach to the choirs of St Nicholas Schola Cantorum in Galway and a part-time lecturer at Dublin City University.